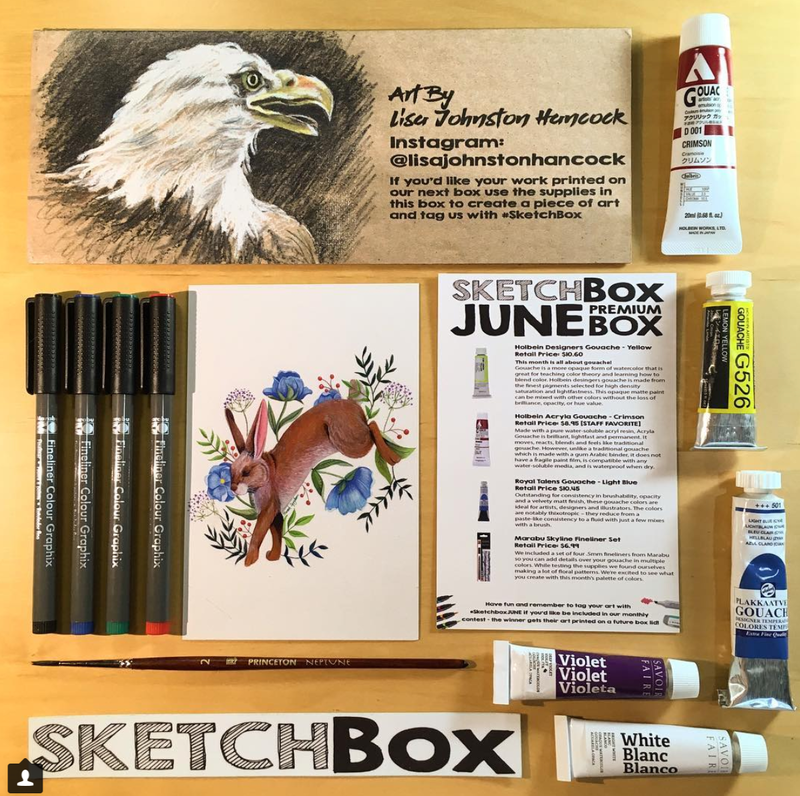 Our June 2018 premium boxes focused on gouache! Gouache is an opaque form of watercolor. It's loved by illustrators for its bold color and versatility. The box included yellow Holbein Designers gouache, Crimson Holbein Acryla gouache, light blue Royal Talens gouache, white and violet Savoir Faire gouache, a set of four .5mm fineliners from Marabu, and a Princeton Neptune round brush size 2. It's everything you need to blend all sorts of colors and create a full illustration. The Marabu fineliners work well over the dried gouache to add details, edging, and line work. This picture was taken by our talented subscriber @valerie.cossette.art on instagram.